To early 20th century archaeologists digging in the Middle East and South America for 2,000-year-old artifacts, the most popular woman in America was artist M. Louise Baker – and she lived in Wallingford! An artist, Baker worked at University of Pennsylvania Museum of Archaeology from 1908 to 1936. She traveled the world at the request of archeologists to illustrate their finds. Watercolors and reconstructions make up the over 500 works of hers that are in the Penn Museum today. In retirement, Baker lived on Brookside Road with a studio above the garage that had a large window for sun and views. Dr. Elin Danien, a research associate at the Penn Museum, will give an illustrated talk about Ms. Baker and her art on Wednesday, April 25 at 7:30 at the Helen Kate Furness Library. 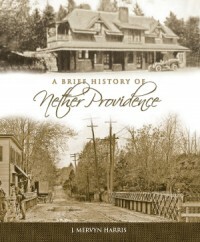 Come learn about a Nether Providence resident, well-known to others, but not to us – until now.